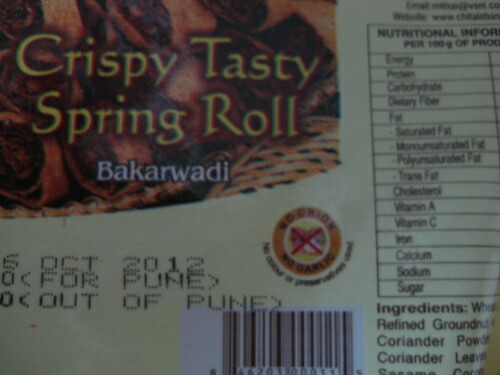 A colleague returned from a trip home to India recently, and brought me a gift of some delicious Indian snacks. But wait – what is that little logo in the middle? Let’s zoom in a bit! Yes! A logo on them to show that they contain no onion! This is real progress, and I hope it gets rolled out internationally! 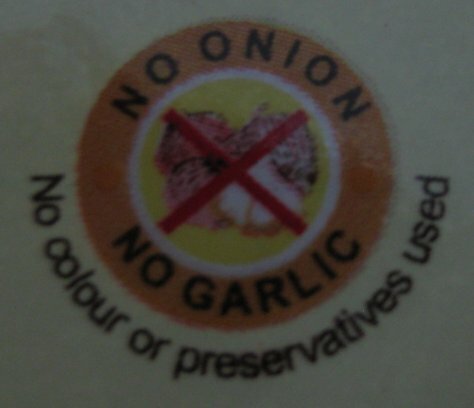 I’ll admit that I have nothing in particular against garlic, and yes, I am aware that this logo is for the benefit of people whose religion forbids them to eat certain things, but this still really made my day. You are currently browsing the Destroy All Onions! blog archives for November, 2012.